At the end of last year, ground-breaking research was unveiled from the Diabetes REmission Clinical Trial (DiRECT) regarding the link between a total dietary replacement (TDR) and the impact on the reversal of type 2 diabetes. The findings, which studied 298 people for a duration of 16 weeks, showed that 46% of those taking part, who were diagnosed prior to the study, reversed their type 2 diabetes. Although all participants lost weight, there was a significant number who did not manage to reverse their type 2 diabetes. In a more recent study (2nd August 2018) scientists found that those who had been suffering with the disease for a longer period of time were past the point of being able to reverse the symptoms, with those newly diagnosed able to reverse the diagnosis quite quickly. For those with the condition, the importance of treating type 2 diabetes earlier on in diagnosis can mean either the reversal of all symptoms and long-term effects, or can mean living with the condition, and on medication, for the rest of their lives. “We must share advice with our patients on long term adherence to management, long term control of their diabetes and therefore preventing the important consequences of diabetes, and we must share all the information we have, rather than just recommending medication. “The issue is that most patients just get informed that they have type 2 diabetes and might get sent on a structured education course, for example, the DESMOND programme. 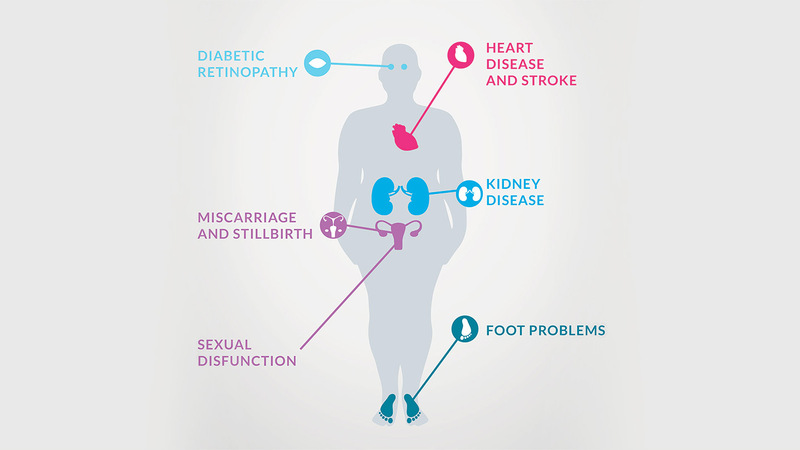 If time was taken to explain what has led to the diabetes, which includes lifestyle choices and, more importantly, visceral, or central, fat carried around your waist, patients would understand the importance of reducing their weight. The cost of diabetes to the NHS is close to the £1bn mark, but recommending a TDR is an alternative, more cost-effective method that could save millions. LighterLife has successfully helped over 400,000 people to lose weight through its VLCD Total Plan, with 30 years of extensive research to support the plans and products provided by the weight-loss brand. The LighterLife Total Plan uses Foodpacks, which include shakes, broths and meals, to provide clients with 100% RDA of vitamins and minerals. This unique plan is combined with Cognitive Behavioural Therapy (CBT) and group counselling, to ensure that clients are losing the weight they need to, as well as being supported as they change their relationship with food, resulting in people losing weight and keeping it off.